Our exciting project started when we were approached by a business wishing to succeed in offering adventure holidays in Nepal. Trekking, Safari, Biking, Canoeing, the lot. 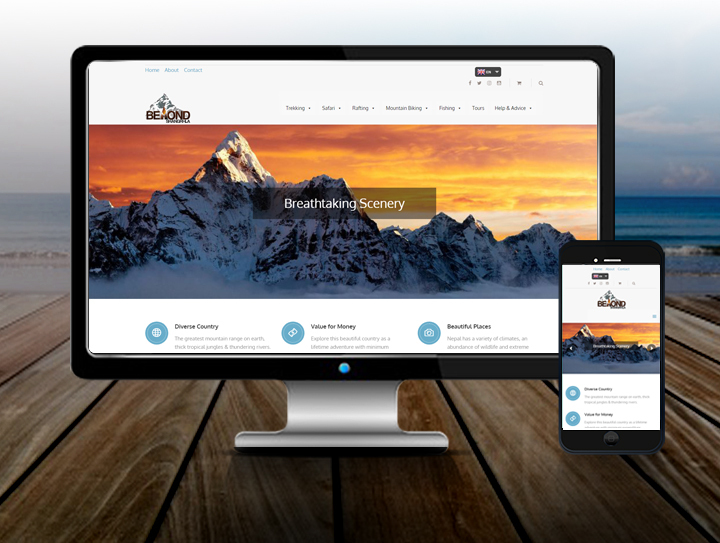 His success rested on us to produce a website that would attract customers and enable them to book a holiday. We designed the site with “fun” in mind. The landing page had to engage the user and keep their attention in order to click through. SEO was built into this site and extra SEO after launch for visibility on Google.